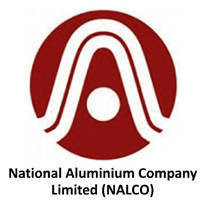 National Aluminium Company Limited (NALCO) Published Recruitment Notification for Project Manager, Assistant Project Managers, Assistant Project Manager (Finance), Civil Engineers and Mobile Health Unit, Coordinator / CSR Coordinator Posts. Qualification : Full Time Regular Course in Post Graduation Degree / Diploma in Rural Management / Rural Development / Development Studies / Social Work from Reputed Universities / Institutes with not less than 55% Marks in Aggregate. Qualification : Full Time Regular Course in Post Graduation Degree / Diploma in Rural Management / Rural Development / Development Studies / Sociology / Social Work / Social Anthropology from Reputed Universities / Institutes with not less than 55% Marks in Aggregate. Qualification : Bachelor’s Degree in any Discipline with Cost Accountancy (ICWAI) or Chartered Accountancy (ICAI). Qualification : Full Time Regular Bachelor's Degree in Engineering or Technology in Civil from Reputed Universities / Institutes with not less than 60% Marks in Aggregate. Qualification : Full Time Regular Course in Post Graduation Degree in any Discipline from Reputed Universities / Institutes with not less than 60% marks in Aggregate. Send Application to This Address : Chief Operating Officer, NALCO Foundation, HRD Centre of Excellence, NALCO Nagar, Chandrasekharpur, Bhubaneswar - 751023, Odisha.